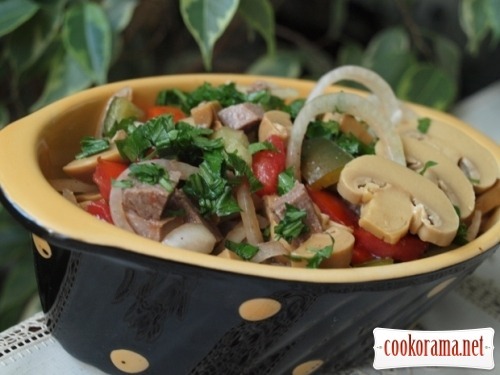 Light,juicy and simple salad without mayonnaise. 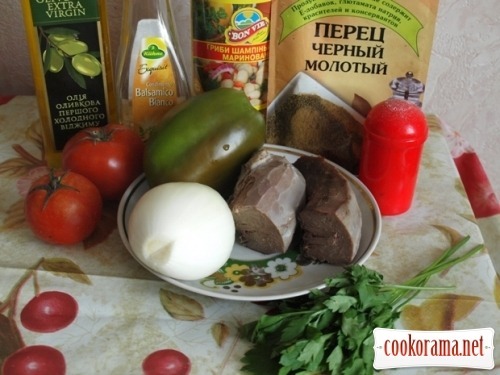 Cut tomatoes in half, remove cord with seeds (we do not need it in salad), also dice. Cut onion in thin strips, sprinkle with balsamic vinegar.You can take sweet onion. 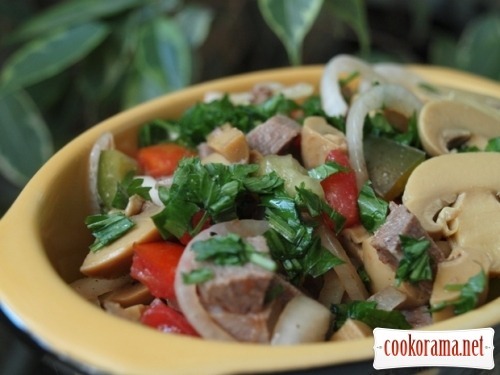 Stir tongue, champignons, sweet pepper, tomatoes, onion. Salt, pepper to taste. Sprinkle with greens. 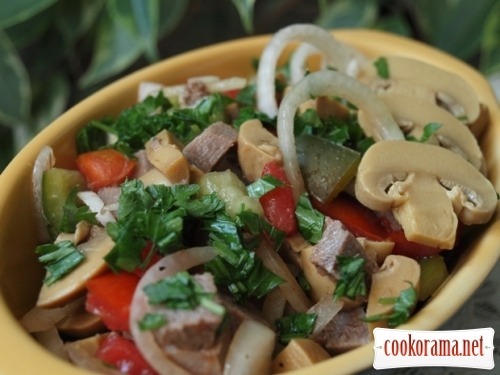 Top of recipe "Salad from tongue with champignons"
Я такое очень люблю! Супер!